Elgin Street has turned into a zoo of loud, metal animals. Large fences run along the edges of the construction sites, keeping foot traffic out and construction convoys in. 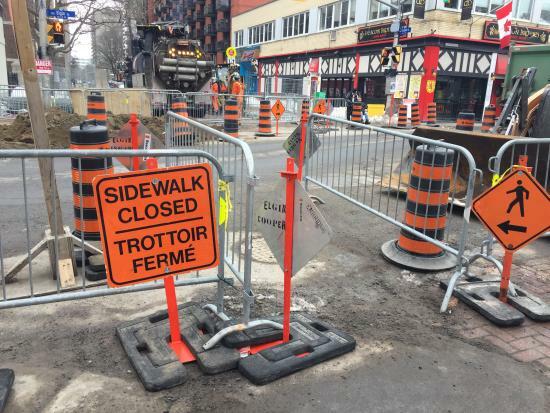 Nearly every day, the large orange cones move around, signalling the safe routes for pedestrians as they zigzag around piles of rocks and sand and step on plywood laid over unsafe spots. Cars bumble slowly down the portions of Elgin that remain open, veering from the left lane to the right lane as signs direct them. Yet amidst the chaos and change, shops along Elgin street remain open for business. 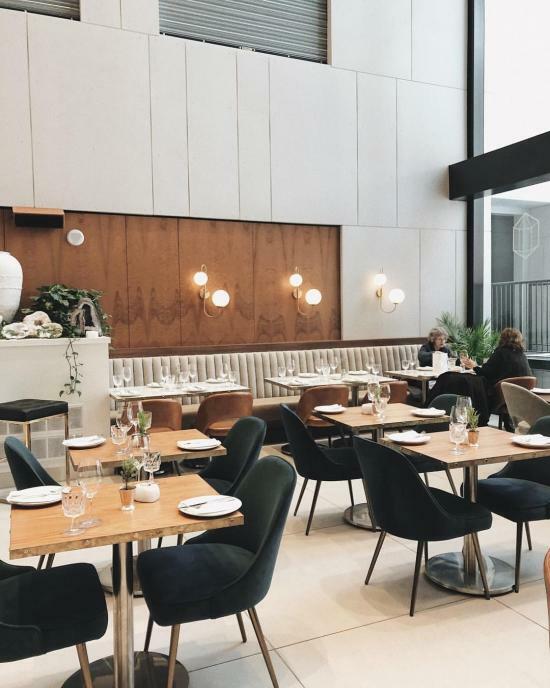 Business owners have come together to support one another through the bleak winter months, and it definitely hasn’t been a walk in the park. With construction, bad weather, and road closures, businesses have definitely taken a hit in terms of sales and patronage. Roadside parking—or the lack of—has proven to be a huge problem for patrons not on foot. Since construction began, there has been a sharp decline in available parking spots along Elgin Street. “Parking is a problem—it’s a pain,” says Saskia, manager at Lieutenant’s Pump. To try and alleviate the stress on businesses, the city has opened up parking at City Hall: free after 6pm on weekdays, and free on weekends. However, Saskia says it doesn’t solve much for businesses like the Pump, nearly 10 minutes away from City Hall. Johnny Farina’s interior walls are decorated with the slogan “I Dig Elgin.” “This campaign has been a good way to make the public aware that businesses on Elgin still operate as normal,” Sapphire says. 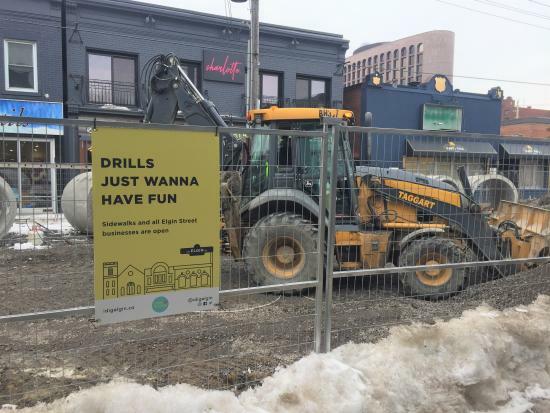 Christa Blazczyk, co-owner of Boogie and Birdie and The Gifted Type, started the "I Dig Elgin" campaign as a way to help businesses deal with the construction period. The campaign page on Facebook acts as a cheerleader for the street, highlighting events that happen all along the Elgin: art shows, trivia nights, comedy shows and more. People on social media are encouraged to share what they love about Elgin Street, using the hashtag #IDigElgin. “The idea is to get through construction, but have fun while we’re at it. 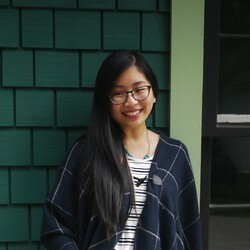 We’re very lucky that there’s a lot of local community here, because we need a lot of local support,” says Christa. “It’s definitely unique to find a street with so many independent businesses,” she adds. Elgin has a strong local, pedestrian community that is very supportive of the Elgin Street businesses, and this really helps the shops’ sales. “A lot of our customers still come in because they specifically want to support our business, and we really appreciate that,” says Lina (Oriental House). Christa (Boogie and Birdie/The Gifted Type) looks forward to more support from customers, and is excited for all the community events that the "I Dig Elgin" campaign will put on. 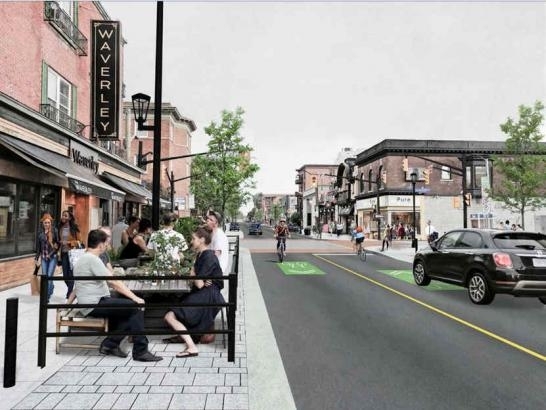 Starting Monday, road closures to one of the busiest streets in Ottawa will take effect. Here's what you can expect!